Here’s the edit from the past few weeks. 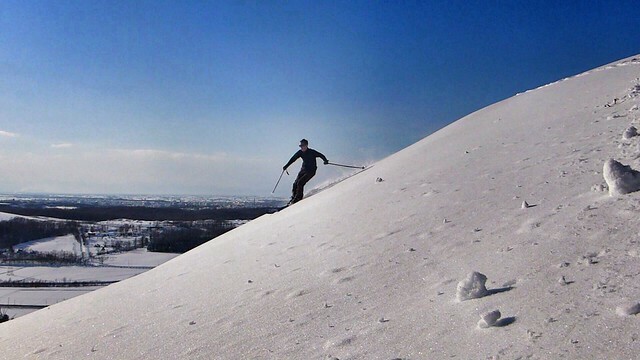 March in Hokkaido is always good as you still get decent dumps of snow but also more sunny days. And all the tourists have gone home! Come in mid-February. 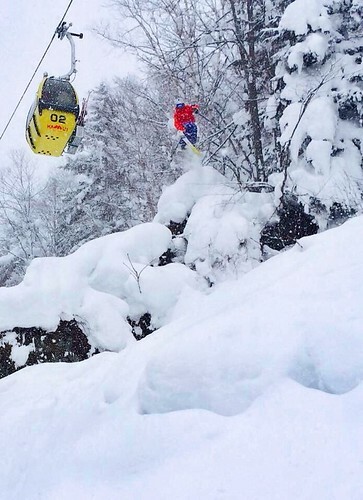 Guaranteed pow….. ? Is what I said to my friends Sam and James when they were planning a trip to visit us in Hokkaido. I should’ve known though. The last time all three of us were on a mountain together was 10 years ago in Whistler. That year, the Pineapple Express hit, giving us rain, wind, and generally crap snow for the majority of our 2 months in BC. This time would be different though, wouldn’t it? It’s Hokkaido after all. Well, we had a bit of snow, but generally nothing like you’d usually expect for February. Pretty disappointing for Sam and James to have travelled from Hong Kong and the UK respectively for not amazing snow, but we had a good couple of weeks and made the best of a bad snow situation. Straight from the airport we headed to Mount Racey. 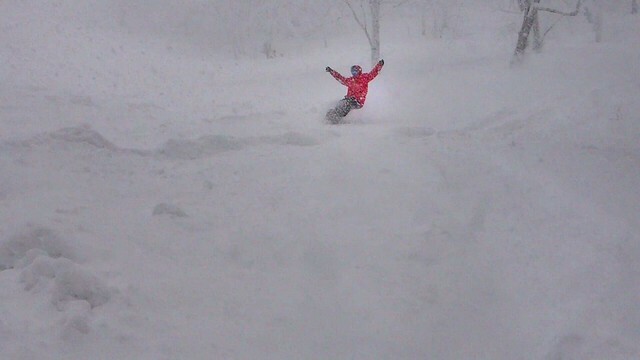 Not much powder but we gravitated towards the park like the park-rats we used to be! 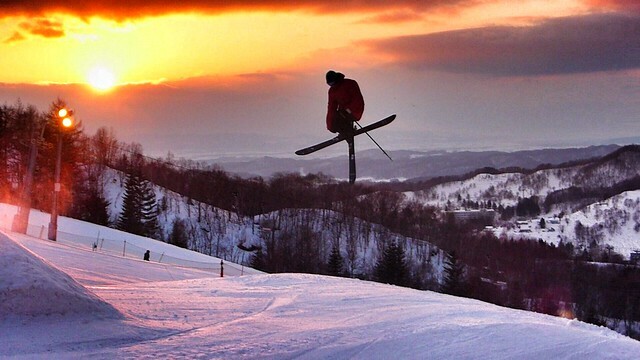 We were treated to a classic Yubari sunset to welcome the boys to Hokkaido. 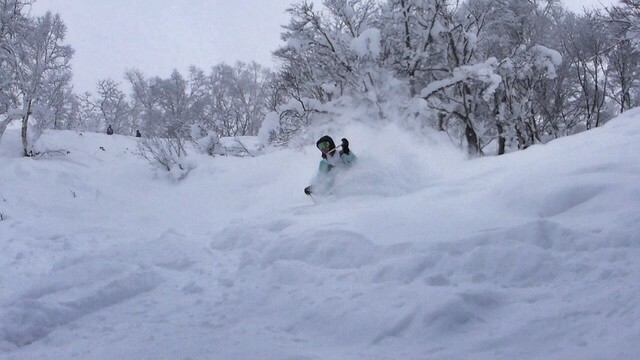 We had a good couple of days down in Rusutsu. 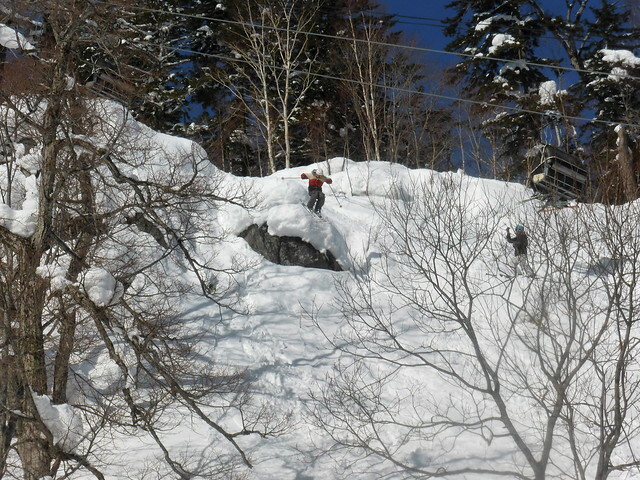 A little bit of fresh snow to keep the trees interesting and an amazing bluebird day with views of Yotei, Lake Toya and the Pacific Ocean. 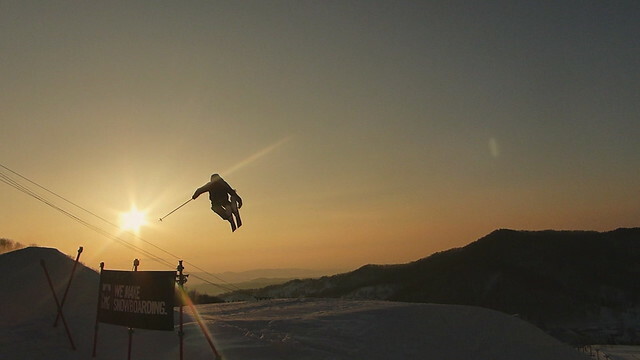 Plus a sweet night park session, with confidence boosted by the addition of chairlift cans of Sapporo Classic! We were able to scope out some decent stuff at Teine too. 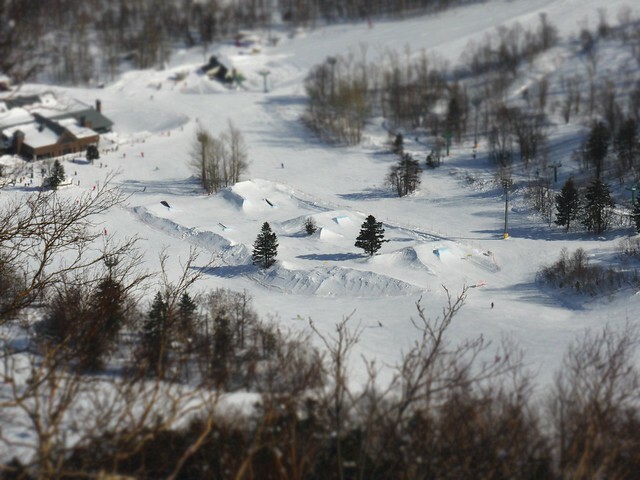 The less obvious lines in the trees and out in the bowls were still fun, even without recent snow. And the park was also always an option! 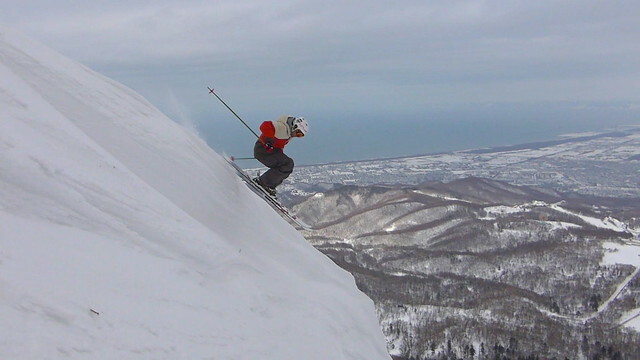 We had a random half day at the unheard of Bibai Kokusai Ski Hill. (Kokusai means international in Japanese. Interesting choice of name for a one lift ski hill in a dying former mining town!) It actually turned out to be a great time though. 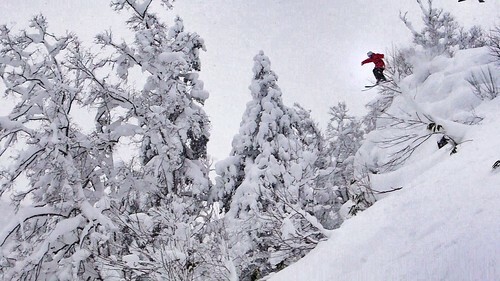 We found lots of short but fun lines through the trees, some powder and even a park! And other than a few army dudes in leather boots, we were the only ones there. The ribbon jump at Bibai. We got shouted at by the lifties for this! 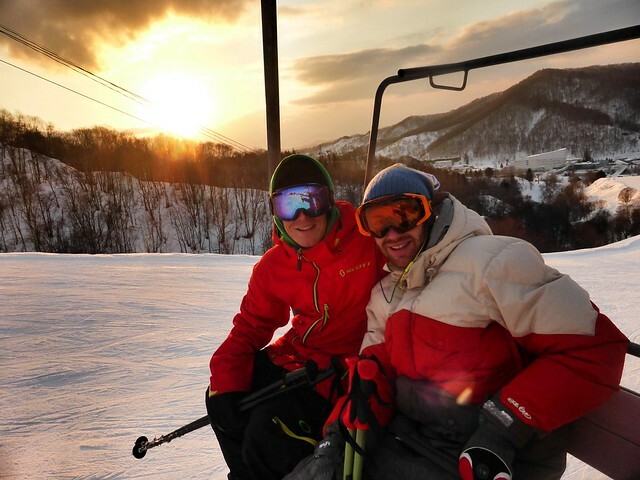 Sam headed back to Hong Kong slightly earlier than James, leaving us to have a sweet final park session at Mount Racey. 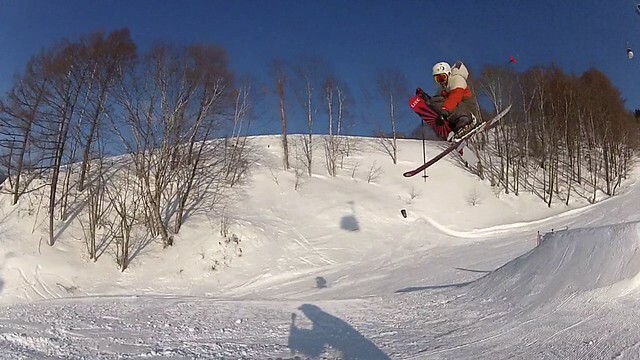 A sunny day, with no crowds had us lapping the park with the essential Go Pro on a pole. 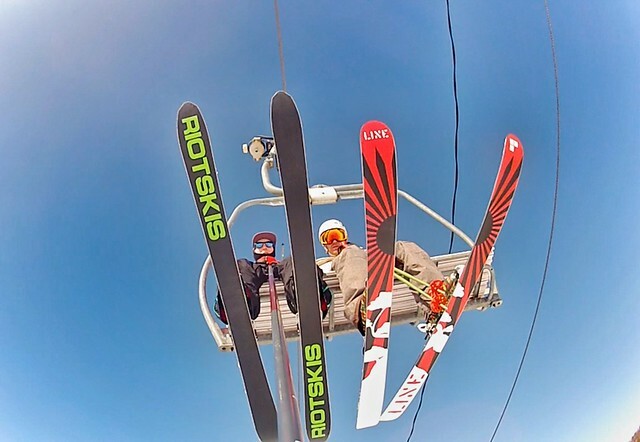 Go Pro on a stick chairlift selfie! Thanks for coming out to visit boys. Now Sambo, you’ve got all the footage, get working on that edit!! 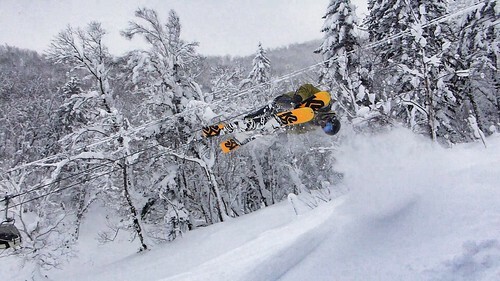 Tom Steele from the US who contacted me for info on Hokkaido via Newschoolers.com. 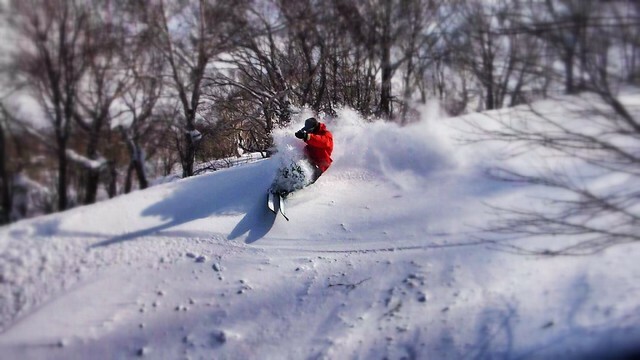 We were able to meet up at Teine for a day shredding the bowls. 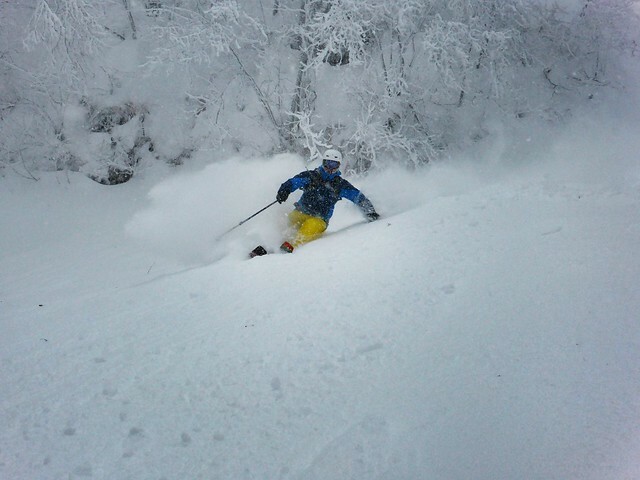 A day when the lift was on wind hold at Teine. Toshi, a park rat at heart! After the rain and warm weather we had a couple of beautiful clear days. 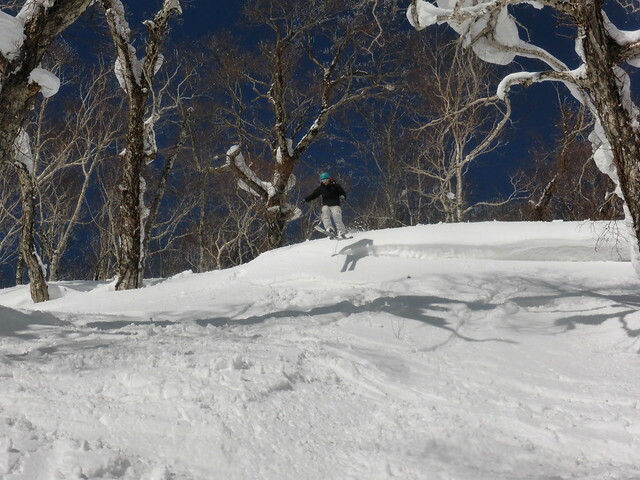 I took advantage of an afternoon off to go skin up Bozuyama a couple of times. Iwamizawa in the background. The snow returned eventually. 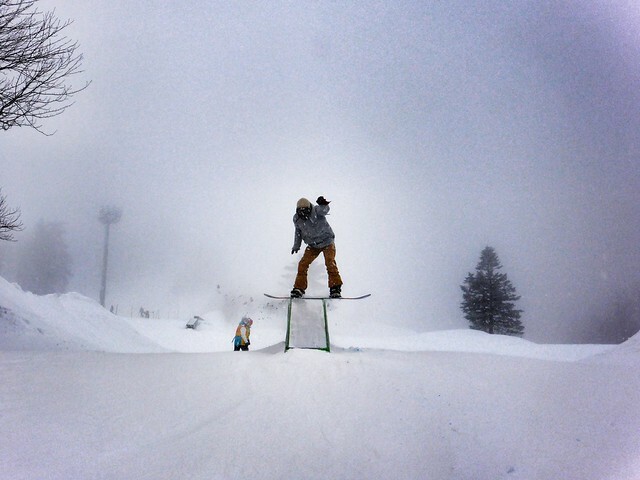 In Happy Valley at good old reliable Yubari! 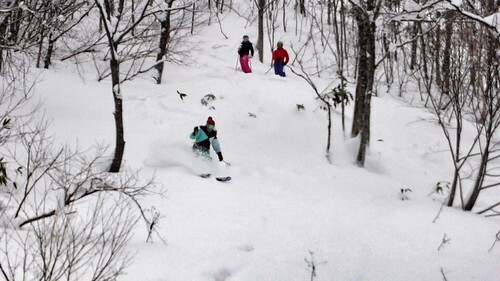 Beth and Mike shredding together down ‘Girls Only’ at Yubari. 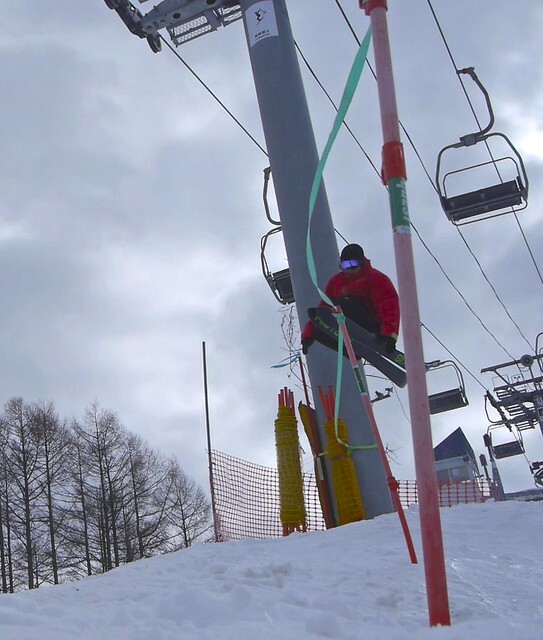 A windy day at Teine, so the lift was running very slowly. Meant the lift queue grew pretty long. 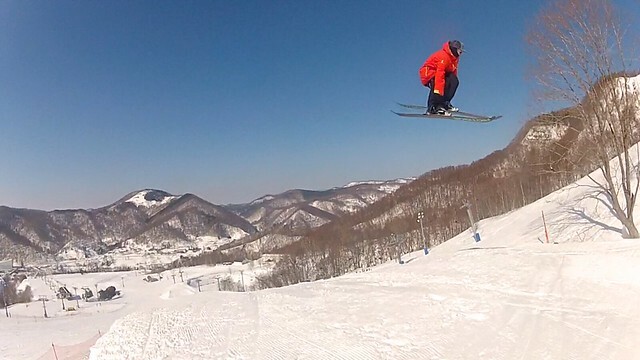 I even had a day on a snowboard and enjoyed a lot more than expected! What an epic couple of weeks! 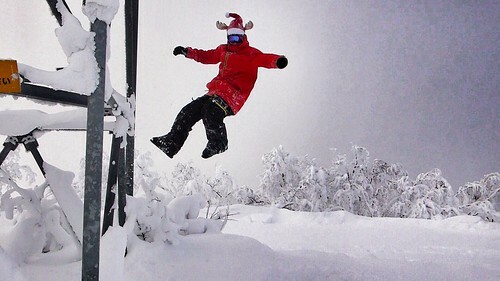 Usually over Christmas and New Year we take a couple of weeks off to travel somewhere outside Japan. 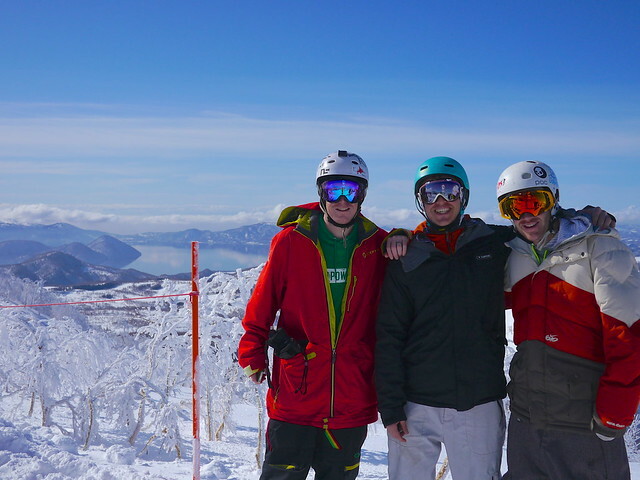 This year, we took the time off, but stayed in Hokkaido to travel around with a few friends and ski. 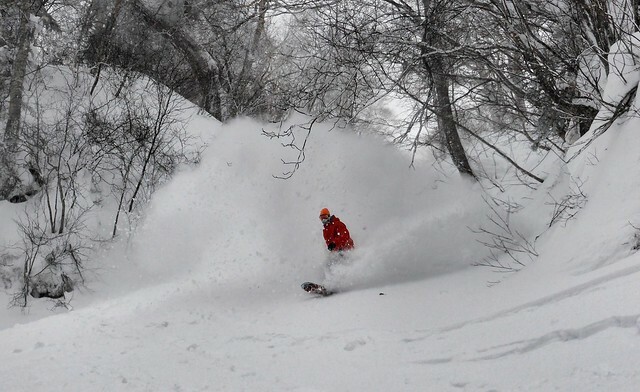 There’s no denying we had a slightly slow start to the season this year, and this was very apparent at Rusutsu over Christmas from the amount of sasa bamboo and tree branches still poking through the snow. But the snow started really cranking when we arrived on Christmas Eve, and just didn’t stop. It got so good that we decided to book another night in a hotel there to squeeze in an extra day skiing as the snow was so damn good. After Christmas we had friends, James and Daphne, arriving from the UK. We’d lined up a mix of Sapporo before New Year followed by a trip up to Asahikawa for a couple of days in early January. 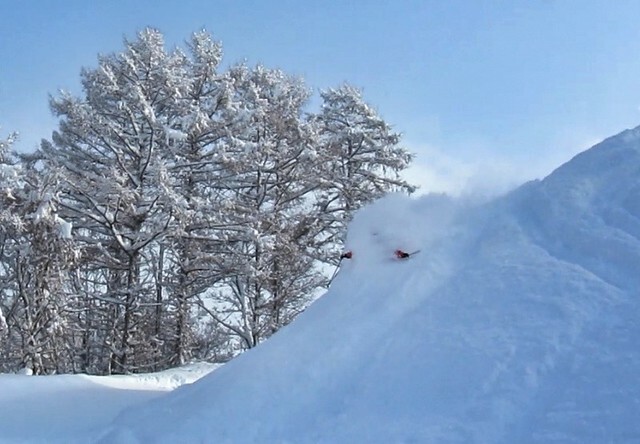 Initially the snow at Teine was up there with the best snow they’d ever had in Europe, although to us it was decidedly average. 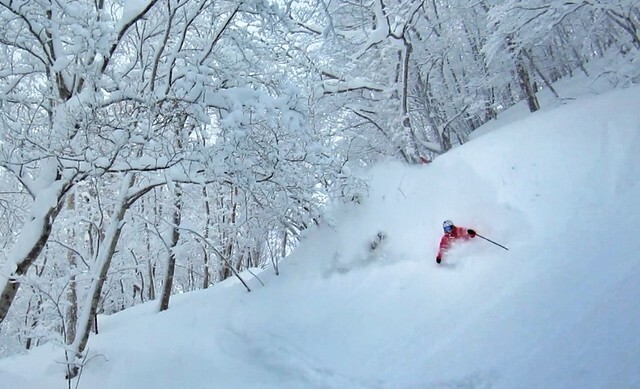 We still had fun picking our way through the trees to find decent powder stashes, but unfortunately it wasn’t the best Teine has to offer. After a big night out on New Years Eve, and a mellow New Years Day, we drove up to Asahikawa. 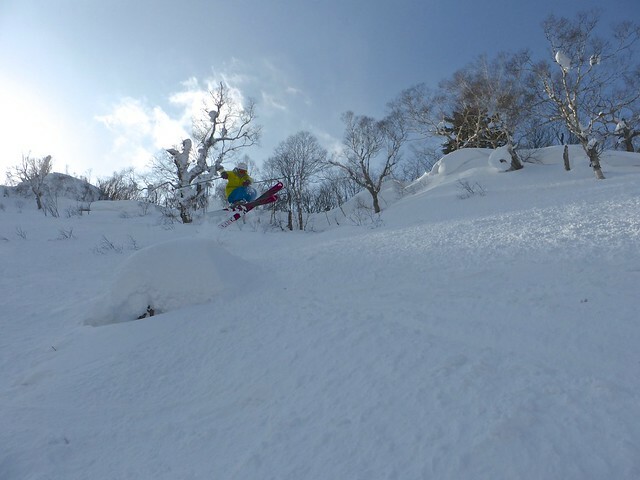 On the first day at Kamui Ski Links the snow was good and a lot lighter than Teine. 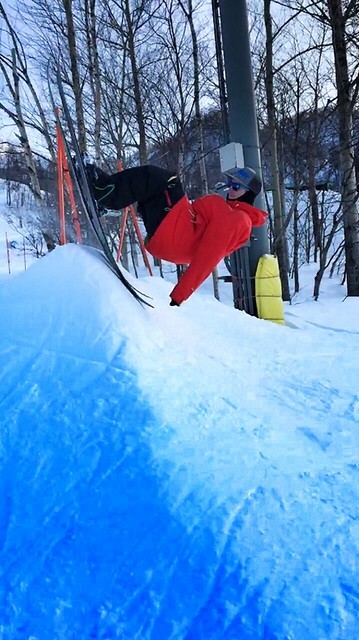 We hit the backside and the lines down the spine under the gondola. 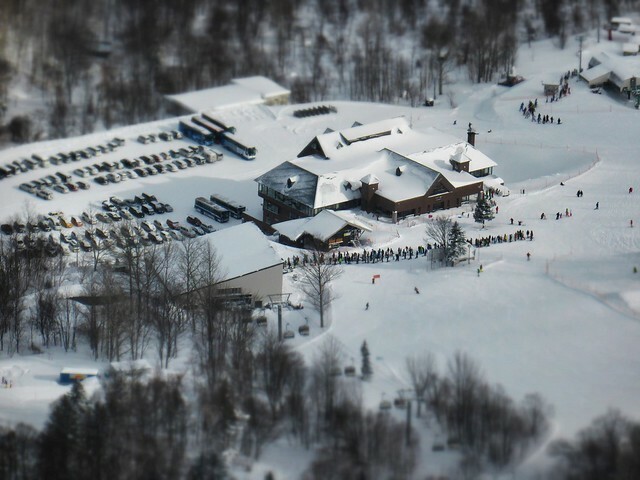 Even with relatively long lines for the gondola, the trees and backside areas remained largely untracked. 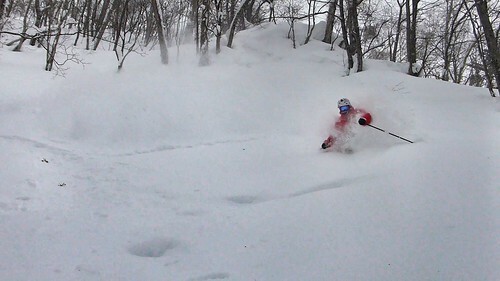 By day 2, after a solid night of snowfall Kamui was even better. 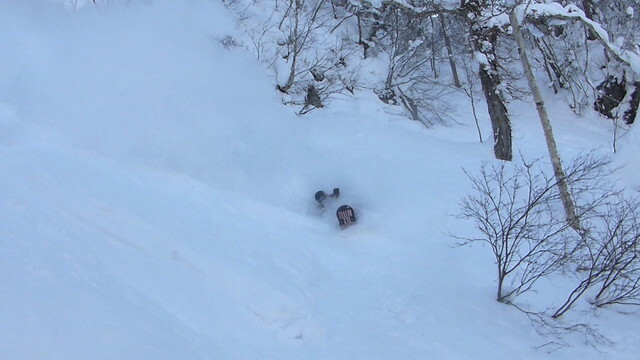 The snow was really deep and confidence was soaring. 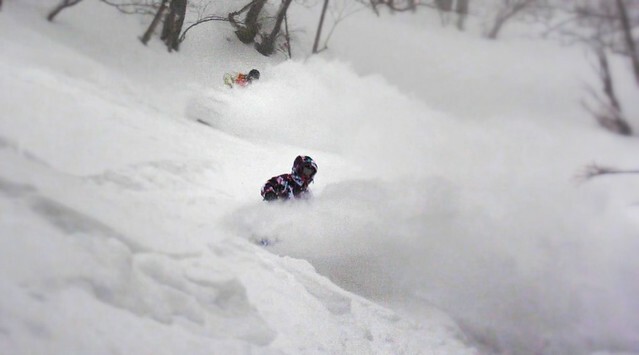 Some bigger drops were going down, and pillows were getting boosted with deep soft landings. 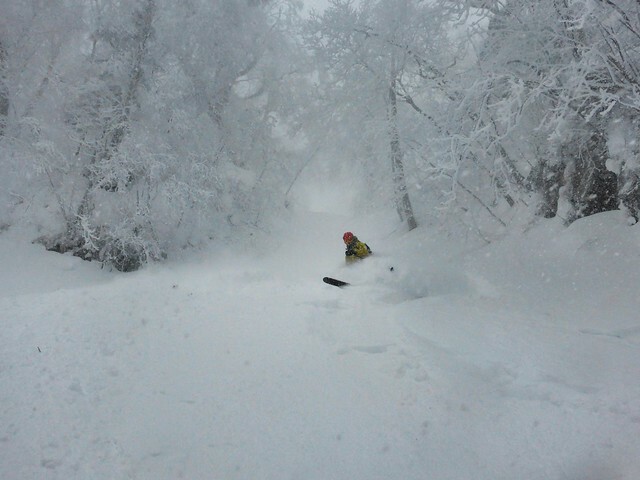 Heading back home from Iwamizawa, we caught the negative side of Hokkaido’s insane snowfall. The Expressway was closed and the main north-south road was gridlocked thanks to 1 metre of snowfall in Central Sorachi. Eventually we got home and dug ourselves back into our parking space. 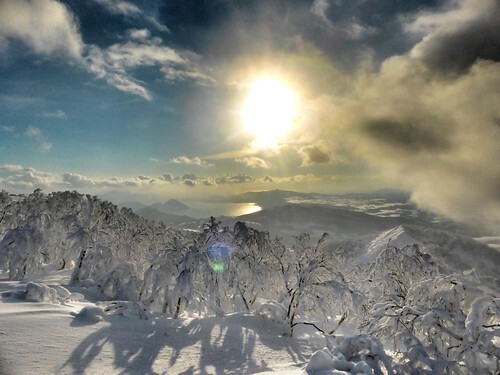 Looking around at all the fresh snow, we figured that the following day, the last of the holidays, would be a pretty good time to hit Mount Racey at Yubari. 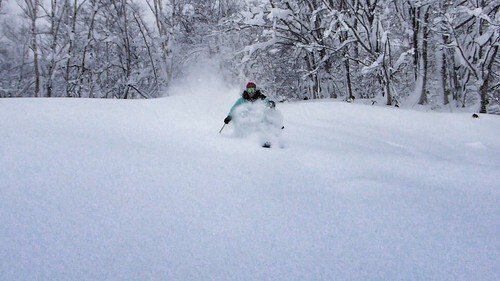 It turned out to be one of the best days we’ve had in Hokkaido. 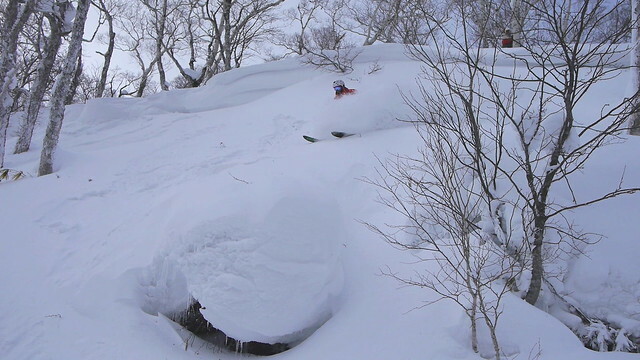 The snowfall in Iwamizawa area had continued Eastwards and intensified as it hit the mountains at Yubari. The ski area got absolutely pounded and to top it off, the sun came out in the morning to give us the dream combo of snow and sun. Lap after lap on the gondola gave us chest deep blower powder in the trees and incredible faceshots in the steeper terrain in Happy Valley. A perfect day to round off James and Daphne’s trip and one for us to remember for a long time. I took a load of video over the 2 weeks, and will try to edit it down into something watchable. Hopefully. For now, here’s a mini edit from an insane day at Mount Racey. Back to ‘work’ and ‘reality’ as of yesterday. But we have a three day weekend coming up and another big snowstorm brewing tomorrow……. 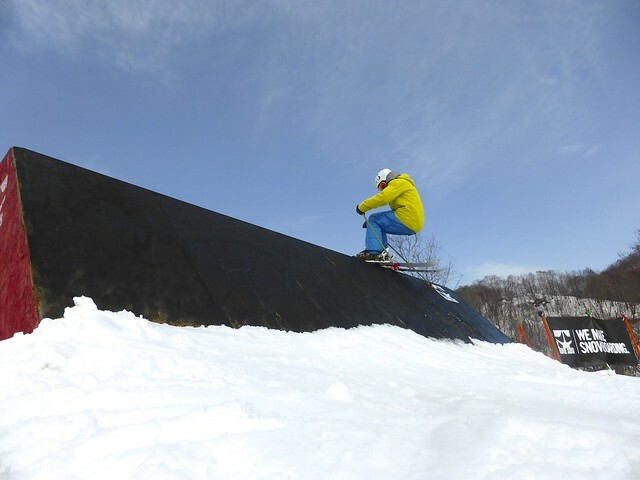 My friend Sam Brotherwood visited Hokkaido for 5 days in mid March. He just finished putting together an edit with the footage he got.